Side and Occasional tables are prominently considered as one of the most important furnishing ideas that can bring an attractive appearance in your house beauty. Side tables are readily accessible in so many variations of designs, styles, shapes, and sizes. Most of the side tables are artistically designed with the Oakwood use in it that do bring durable and longer lasting resistant effect in it. This side table is standing out as a perfect option to make it install at some small space of your house corner. Glass topping of the side table is the main attraction of this piece. This will allow you to catch the amazing cappuccino base supporting it. This side table is amazingly making you show out with the removable and yet a functional tray top. It is all attached to the side of the base by means of the four secure grips. It is a perfect arrangement idea to bring fun effect in your house. This is a contemporary designed gray shaded side table piece. This can turn out to be a convenient option as for the purpose of storing magazines, as well as coasters, or your favorite books. It is a complete manufacture of the hardwoods and solid wood materials. This side table is best designed with the art work of the glossy white tops. 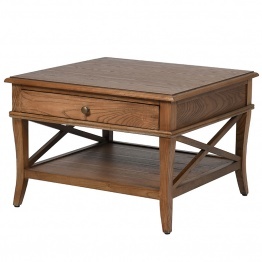 The two piece nesting of the side table will bring about an incredible look in your room. You can decorate this side table in your house as the lamp stand or simply for the accent pieces look. This is one of the wonderfully crafted side tables for your house. It is set over with the thick edge topping that will definitely come across as the main focal point of your room. It's wood look piece will be meeting up with all your decorative requirements. This is another classy designed contemporary style of a side table with the glass topping effect over it. It is accompanied at the best with the white top alongside the brass bade into it. Isn't it looks elegant? This side table design will give you out an impact of the fabulous piece of designing all along with the blend of the washed oak wood and powder coated white metal artwork in it. 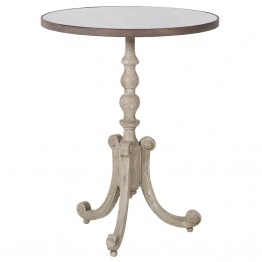 This is a perfect rectangular designed side table that is style up beautifully with the curved Apron Cabriole Leg. It is perfect to be located as part of your dining room or bedroom. This is simply a majestic creation of the side table that is giving out a royal reflection. It is being offered with bentwood legs that are giving sturdy support with grace. It is perfect to be used as the decoration display table or the lamp table stand. This unique designed side table will be giving you out the reflection of taking it as the lamp stand. Do you have the same thought in mind? It's functional touch and stylishness in designing make it superb attractive. 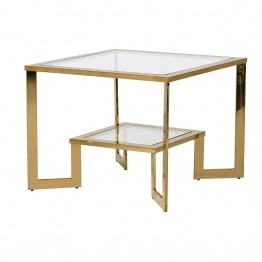 Check out this attractively designed Gold finish side table! As similar to its name, its designing is not less than a gold work. It's supportive leg stand is featured with zig zag designing that looks much eye-catching. Oakwood use with the clear tempering of the glass topping and shelf side are the main catchier features of this side table. It is functionally being best in serving out as the coffee table for your guests. Just impress your guests with this flawless designed gold side table that will surely be the main showstopper of your party. 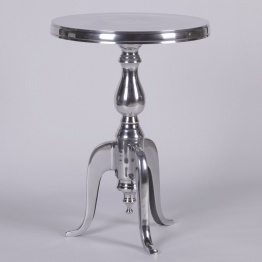 Its stainless steel base elegance has been set best with the glamour for your dining area. How innovatively this brilliant piece of side table has been finished out with the perfection. Being introduced to the glass topping framework and 4 legs support makes it super-flawless. This is a gold flutted and blends of lacquered accent table. It's catchier circular inverse conical top above a conical base. This is another classy circular creation of the side table that is so inspiring looking. Its glass topping is giving out a magnificent appearance. It is being set with two divisions of the table coating. This is truly an impressive piece of the side table being settled with the elegance hues and cuts within it. It is featured with the rolling wheel access to make its location changing movement easier enough. Being style up in the nesting design art work, this Industrial best of 2 tables is breath-taking looking. This table set is centered with the two table sets that throughout gives the favorable impressive look. This side table design does look simple in the upward style look, but check out how creative it is being designed out from the downside view. 4 legs support system is slightly included with the royal look. Simplicity and elegance are the blended flavors in this side table design! Its top side is done with the glass topping use whereas the legs support is style up in cut-to-cut functionality. Beautifully this tray side table has been created out for you in the horizontal shape style. It's all surroundings are finished with the glass topping material use. This awesome designed leather tray side table is a perfect piece of table to add it in your house. What makes its so different has been its customized sophistication and simplicity. 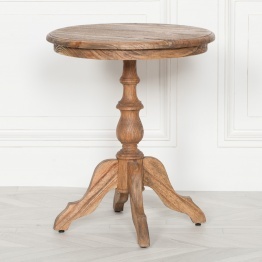 Lili small round side table is fantastically designed for you in terms of the Oakwood and little bit steel material use in it. Did you find it breathtaking? As being designed as moderate in shape and size, this interesting Ludlow side table is creatively finished with the flourishing glossy look.